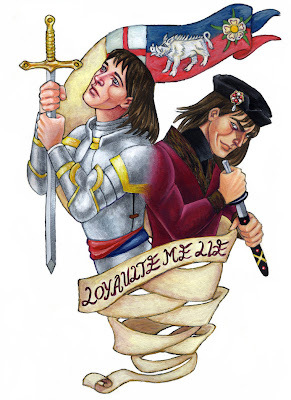 I was interviewed by the blog Fly High about my interest in Richard III. There's the possibility of win a copy of my comic, The Boar. Please have a look! Celebrity Death Match: King Arthur VS Charlemagne! King Arthur and Charlemagne are the founding figures at the origin of the two main cycles of epic/romance poetry, the Arturian cycle (or matter of Britain) and the Carolingian cycle (or matter of France.) The Carolingian cycle continued to be developed until the beginning of XVII century, producing masterpieces from the Song of Roland to the Orlando Furioso. The Arthurian cycle was rekindled during the XIX century and continues to present days; I'd like to see a similar attention for the Carolingian cycle. 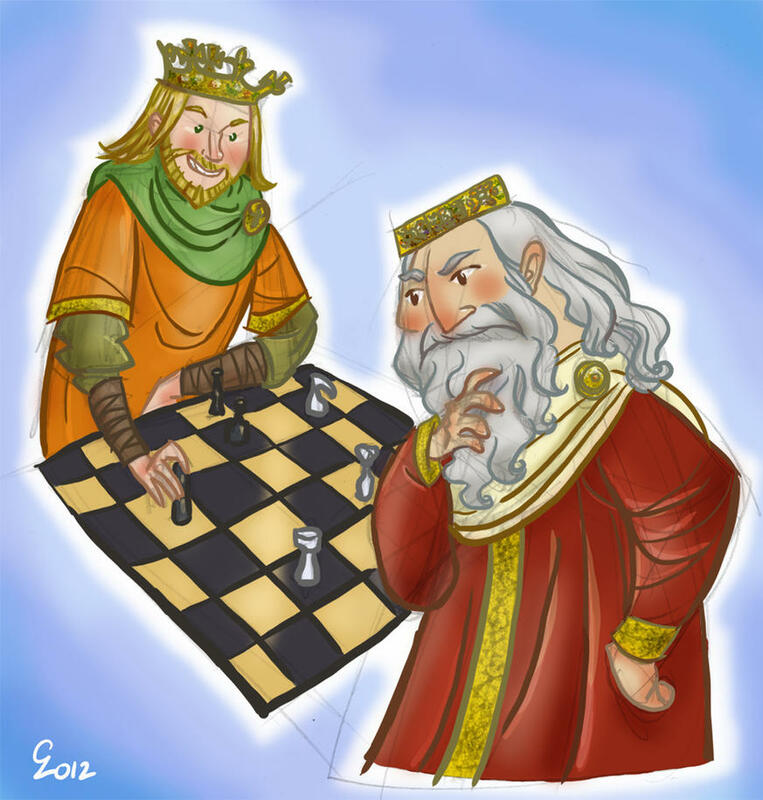 King Arthur and Charlemagne playing chess was a very old idea of mine... dating back some three years at least. 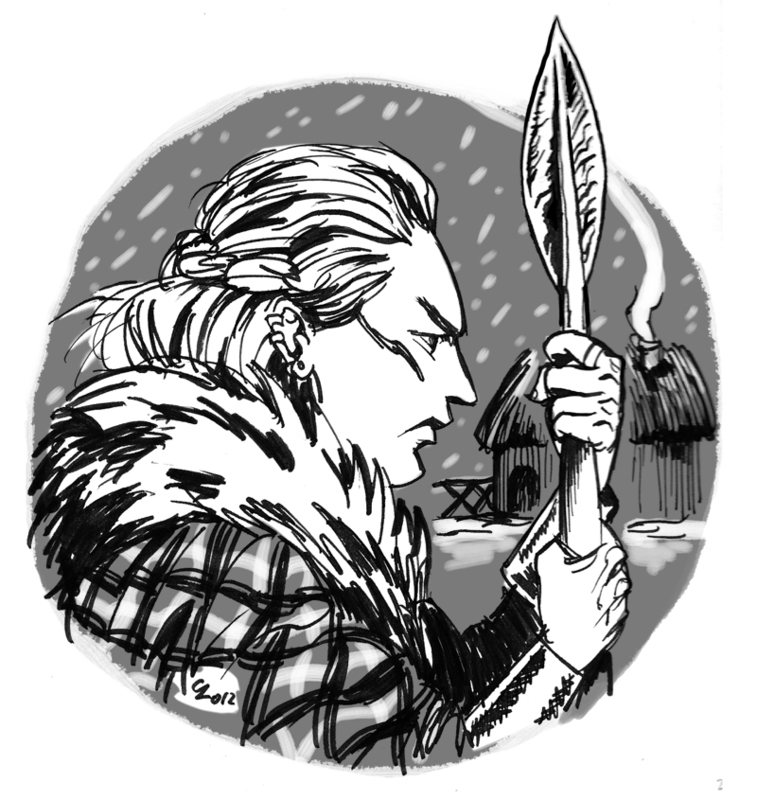 I finally did it for the Historical Characters series. For the first time, I show you something I inked with a tablet! Woe to that land that's governed by a child. This one was inked with a Sennelier Indian ink and my usual Hunt #108 nib. It's a very thick ink, so much that the nib clogs after a few strokes. I would recommend to dilute it when using with thin nibs. The historical facts, battles and politics, are just hinted at: it is mainly a romance made up of flashes with many shifts in time. If a flaw must be found in this beautiful , original graphic work it is that someone who does not know the facts may feel lost and disoriented. But it is such an atmospheric, gripping tale that they may be lead to search and discover more about this fascinating character: "Dickon", the man who will become Richard III. Tomorrow, Sunday February 19, 2012, there will be the LA Zine Fest! 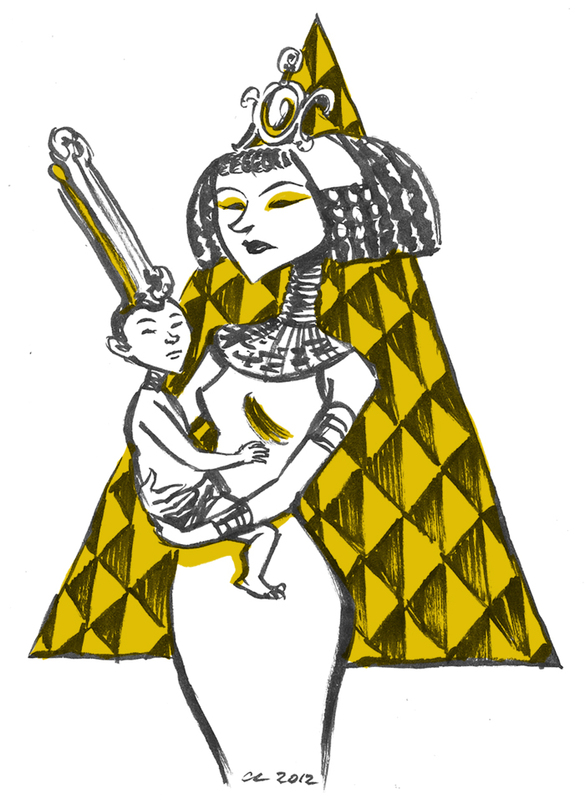 Giulie Speziani (Ginger Rabbit Studio) will be there with our comic, By the Slice. Go and have fun for me! 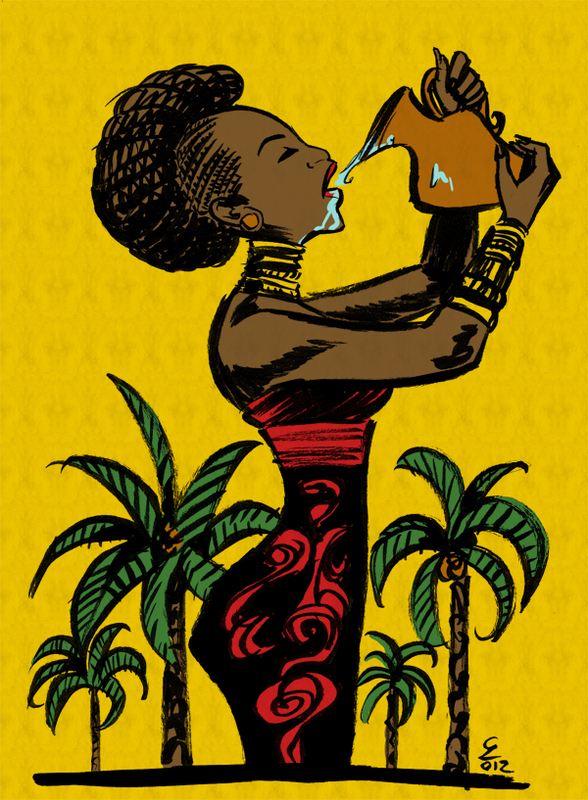 During her stay at Solomon's palace, the wealthy Queen of Sheba discovered that the most precious possession was water. From wikipedia: The narrative given in the Kebra Negast - which has no parallel in the Hebrew Biblical story - is that King Solomon invited the Queen of Sheba to a banquet, serving spicy food to induce her thirst, and inviting her to stay in his palace overnight. The Queen asked him to swear that he would not take her by force. He accepted upon the condition that she, in turn, would not take anything from his house by force. The Queen assured that she would not, slightly offended by the implication that she, a rich and powerful monarch, would engage in stealing. However, as she woke up in the middle of the night, she was very thirsty. Just as she reached for a jar of water placed close to her bed, King Solomon appeared, warning her that she was breaking her oath, water being the most valuable of all material possessions. Thus, while quenching her thirst, she set the king free from his promise and they spent the night together. This one was inked with a Pentel Pocket brush. I tend to lose tracks of events, that's why I'm only reposting now the link to an interview I gave to Something We Like back in September. is the video of a TV news report they broadcast about our movie at the beginning of January. 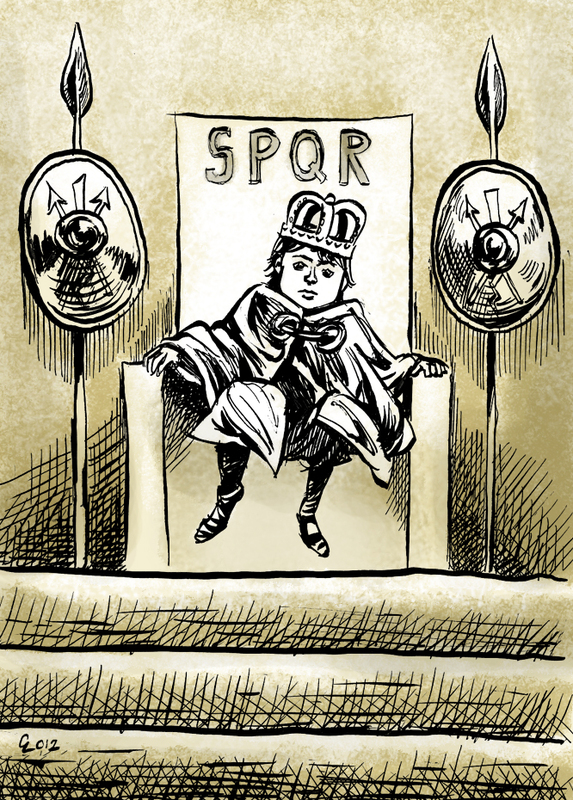 For the Historical Characters series. Inked with a Japanese pen brush. 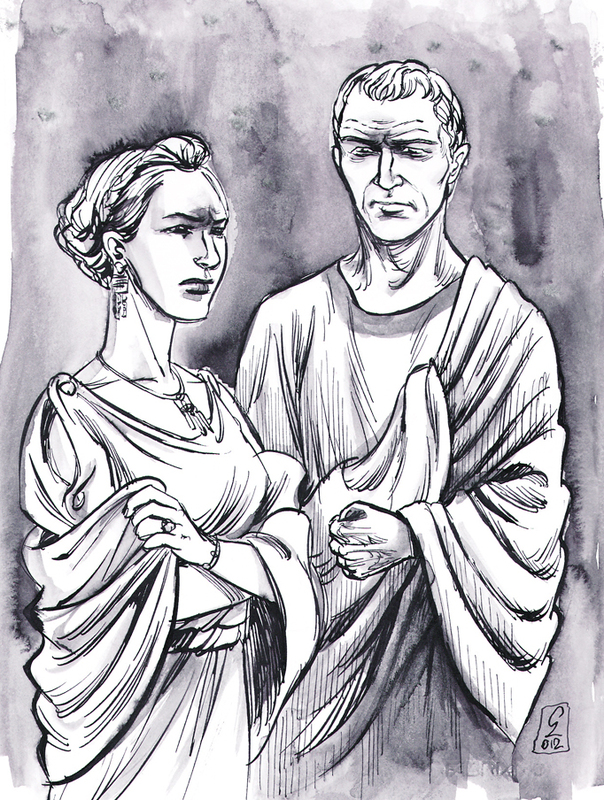 I have in mind doing a series of historical characters as exercise... Boadicea was suggested by a couple of people on deviantArt and facebook. Inked with a Leonardt 300 nib and coloured with Photoshop. Cecilia reads and draws comics. Most of her pages were drawn listening to symphonic metal (or podcasts about romance novels), watching TV programs about bridal dresses, and drinking tea.
. : : Sketch Blog : : . This is a Place to Think in Pictures. 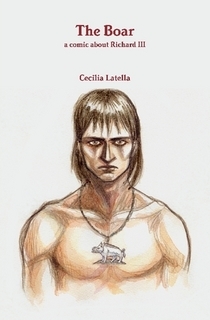 all content, written and drawn, © Cecilia Latella 2010-2015 unless otherwise stated.. Watermark theme. Powered by Blogger.